Kindermusik “Wiggle and Grow” classes are designed for children from approximately 18 months (confident walkers) to 3 years. 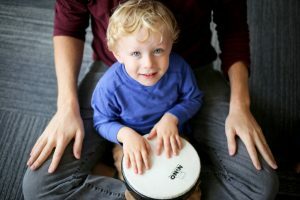 Children and parents meet weekly for a 45-minute class and enjoy singing, moving, listening, interacting socially, and playing simple percussion instruments. 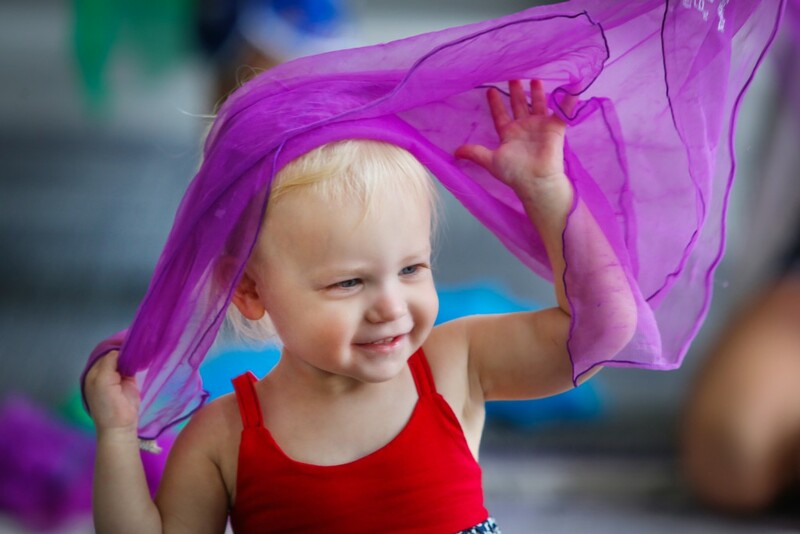 Exploration Time encourages a child’s discovery of specially designed instruments, textures, sounds and movements; Language skills are fostered with singing, sound imitation and vocal play; Story Time and Listening Time encourage emergent literacy skills and listening skills; and Creative Movement affirms a child’s urge to use their body in many different ways. Children in this age group are learning to become more independent, while still needing the love and support of their parents. Engaging in activities in this happy, creative environment really helps their learning potential. Catch a case of the giggles and tap into the joy of laughter as we wiggle, boing, and jiggle through this unit full of silly sounds and silly moves. Through developmentally appropriate activities, we’ll practise stop-and-go motion, experience up and down, use our fine-motor skills, make lots of funny sounds, and tickle our sense of humour all at the same time. Hold onto your funny bones – we’re about to get Silly All Over! Grab your beach ball and put on your sunscreen – Beach Days are here! In this unit, we’ll explore the sights and sounds found at the beach through songs, dances, vocal play, instruments, and listening activities. Get ready to wiggle your toes in the sand, scuttle like a crab, and listen to the surf rolling in. Just like a day at the beach, this unit is full of sun, fun, and play!